This is a portable battery pack voice recorder cannot only be used as backup power for phones and other portable devices, but is also configured for totally discreet longterm audio recording, perfect for audio surveillance on-the-go. With battery-powered personal devices on the increase, seeing someone carrying a portable power pack is not an uncommon sight. This unit also offers the facility to make discreet long term sound recordings, ideal for evidence gathering. Here at Spy Equipment UK we have had constant requests for a discreet, portable, self-contained recording solution with extensive battery life capability that can be carried and used openly in a variety of situations. 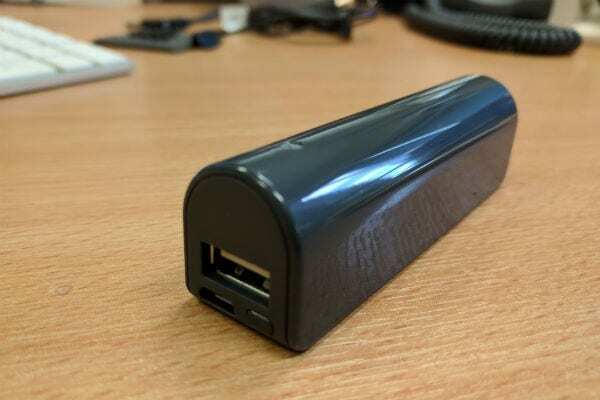 These days so many people have battery-powered mobile devices that they need to keep charged up, so having an external battery pack is now a very common sight. 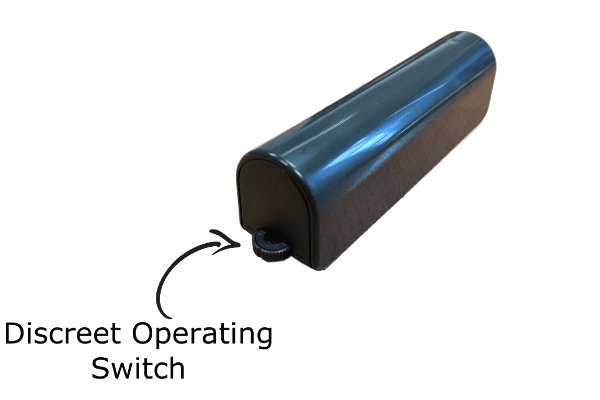 As a result the product solution was a recording in the shape of an external power pack, which could be used openly, without arousing suspicion, which meant that it was something that did not need to be particularly small. The creation of the Portable Battery Pack Recorder has taken all these factors into account as well as simplicity of use to make it the ideal audio surveillance companion for use on-the move. When not recording the unit draws very little power from the battery, which means that essentially it can remain powered in standby mode for up to 150 days! However, when the device is actually recording it takes more power, but still is able to record for nearly 14 days straight before it requires a recharge. Voice activated recording or straight recording can be selected by turning the discreet rotating bezel switch one way or the other on deployment. The Portable Battery Charger Recorder has a superb 576 hour (16GB) recording memory so it is easy to see why we regard this as possibly the our best recorder for use in plain sight. In straight record mode the recording will start as soon as the unit is switched to record mode and will only stop when the switch is manually switched to ‘off’. In sound activation mode, each time the device’s microphone picks up a sound, a recording will start and will stop and save the file when there is no noise for at least a minute. It should be noted that the operating system of course cannot distinguish between a human voice, sound from a TV or anything else in the environment.The memory can record up to recorded 9999 files. This product has a very sensitive microphone that can pick up sounds in a 9 metre (29 ft) radius. When activated it does not give any audible indication of secret recording taking place, although there is a small led indicator that lights up for up to 5 seconds to let you know that recording has begun, ensuring it is really discreet in operation. Offloading audio recordings is very easy. There is no special software required. It is simply a matter of connecting the unit to your computer using the supplied USB lead and then the sound files can be played back through the computer speakers using the computer media player. This product can create a time and date label for each recorded file, which most would regards as an important feature so as to identify when a certain recording actually occurred (can only set up on a Windows PC). Not only does the device look like a portable battery pack, but it actually can be used as one as well. The unit has an in-built Lithium Ion 3000mAh battery so it can supply charge to other portable products such as mobile phones and tablets. When not being used as a recorder, the battery can be used to charge (via USB lead) an external device’s battery. 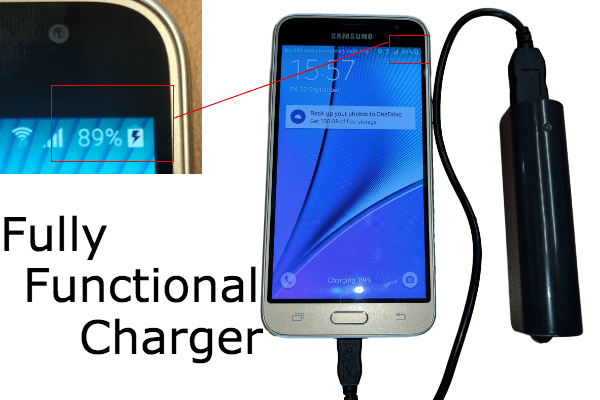 There is a battery switch that will start the external charge process and also a set of LED indicators to show the state of the Portable Battery Charger’s own battery. There is even a detachable slim magnetic strip that may assist securing the device in place in certain circumstances. It should be noted that the unit cannot be used as an external ‘power pack’ when being used to record. Owing to its design, this device is the type of item that can be carried by anybody, almost anywhere. 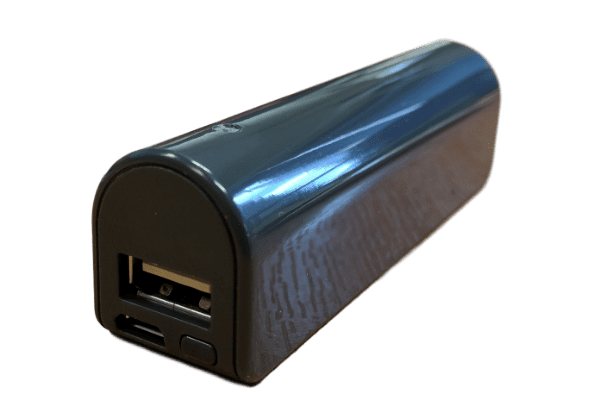 Battery charger packs are now so commonplace that one would not look out of place in the home, at the office or particularly whilst on-the-go. Use it to discreetly record meetings, or leave it on the side or in your accessories tray on your desk to record what is happening when you are away. 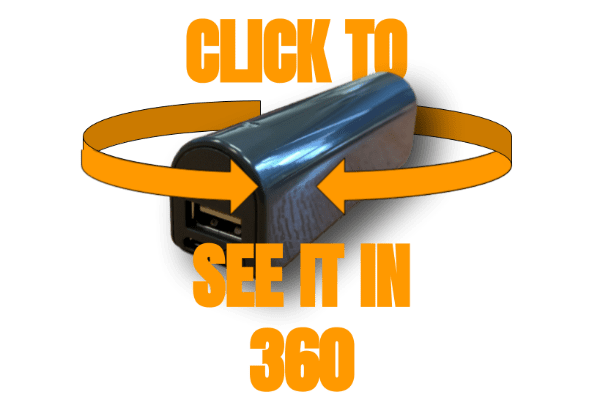 The battery life and recording memory combined permit extremely long deployment times and if anybody is in any doubt whatsoever that the Portable Battery Charger is not a genuine object, then simply connect it to your Smartphone or tablets to demonstrate its charging capabilities. When the device is switched into record mode a discreet LED illuminates for up to five seconds, but then goes out and then there is no indication that recording is taking place. Yes, the unit has the ability to record with both voice (sound) activation and in straight record mode. On voice activation the device records a file for the length of time it hears sound. When in straight record mode it records continuously, but breaks up the recordings into five hour sections to reduce incidence of corrupted files. Can I use as an external battery pack at the same time as making a recording? No, when being used as a power pack to charge another mobile device, it is not possible to record simultaneously. It is recommended that lithium batteries are charged and fully discharged from time to time regularly to keep them in optimum operational condition.